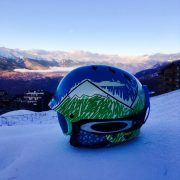 You’ve now sorted out your skis, ski boots, snowboard boots, now it is time for ski helmet. 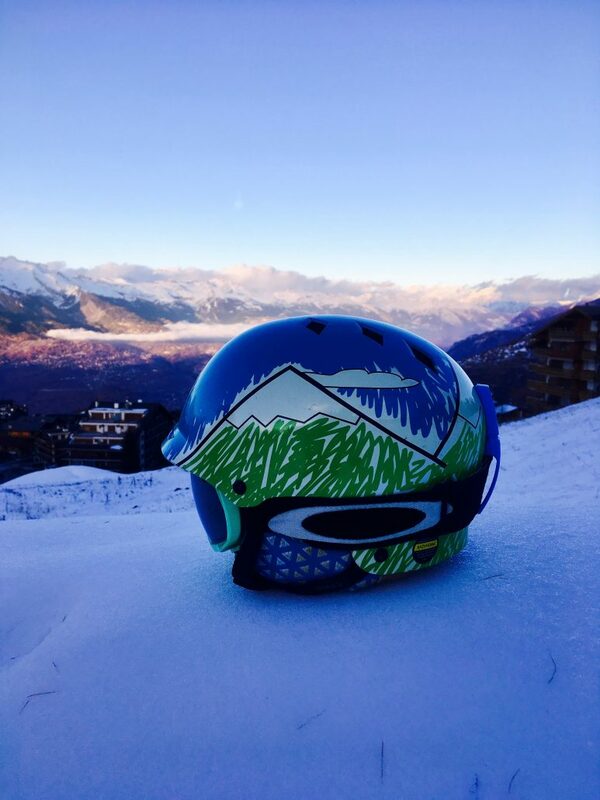 Over the past few years, ski instructors have seen that wearing a ski helmet has become somewhat the norm. We all know the dangers of not wearing one, but with so many different brands, shapes and choices, it is time for you to be clever in picking the correct one, and after that, making sure it can do its job in protecting your brain. If you currently have one that fits and feels good, have a think about its life. How many crashes have you had in it? How long have you had it for? If you have had a few big crashes or have had the helmet for over 3 years then it is definitely time for a new one, it wont protect you as it would have originally. It is also worth looking at the brand- some brands such as Bern are designed as a ‘hard hat’ so for multiple smaller crashes rather than any big ones; and it is important to adhere to the guidelines- if you have had a big crash in one like this then the helmet has to go. Over time the padding will condense which also offers less protection than when the helmet was new, so verify the fit by putting it on, shake your head and make sure that the helmet moves with you, not sliding around on its own. 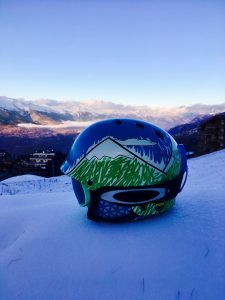 Finding the right helmet is like finding the right pair of jeans- although you know what size you are, one brand of jeans may be the right length, but not fit around the waist, and another you can’t get past your knees (too real for skiers and boarders!) but you can only find out by trying them on. Go into a shop (Ski Bartlett- https://www.skibartlett.com/) and try on your size in a variety of brands -and please, please, don’t look at the colour first!- as you will know when you try on the right shape for you. Once it feels snug all the way round with no pressure points, you can look at what colour options that brand has to offer.